Northwest National Real Estate: Price Reduction! 3 Bedroom Brick Home! Price Reduction! 3 Bedroom Brick Home! Currently, listed and for sale is one of the buildings in Philipsburg's Historic District is the Patten House. 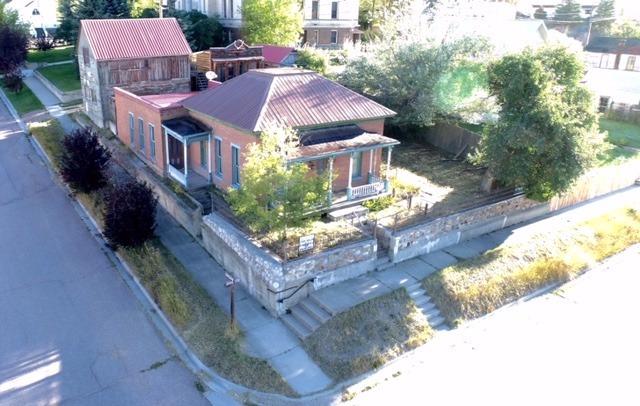 This property is situated on a large corner lot one block from downtown Phillipsburg, Montana. The 3 bedroom 2 bathroom brick home has great views of Philipsburg, Discovery Ski, and the Pintlar Mountains. There are three additional structures that could be utilized in numerous ways such as a studio apartment, guest quarters, or a place to conduct retreats. Contact your agent or listing agent, Debbie Dauenhauer-Hess, at (406) 239-5563 for more information or to schedule a showing. Priced at $149,000.